My farewell ode to Ohio. Mount Kimbie’s debut Crooks & Lovers on Hotflush made a massive impact this year, as the music world went crazy for their unique spine-tingling mix of cloudy textures, r’n’b vocals and off-kilter beats. This track from the album was just one gem of many, typifying their irresistable charm. a fusion that intrigues me almost as much as Breakti… and certainly can offer some solace for anyone who would ever think that yoga somehow makes you less masculine. definitely check this out! More positions & instructions here. A New Year’s resolution begins with good music. Donate to KEXP for real radio in NYC and you never have to worry about running those laps or getting down in your dog without an amazing playlist. Thanks, Ian, for the newest reason to be bicoastal and the newest reason to stay put. the theme of my new year. Sub tonight at YW Soho !!! Go check out Wesley, he’s great!!! I’m trying to get out of OHIO!!! Oh, JFK, how you let me down today…. To Brooklyn from Ohio with love. I’m so sad I’m not there to see this: my car is now a small black mound above the couple feet of snow. Thanks to Sumpti for the pic. It’ll prolly be a few days before I’m back in the county of Kings to witness what remains. And the Grinch, with his Grinch-feet ice cold in the snow, stood puzzling and puzzling, how could it be so? It came without ribbons. It came without tags. It came without packages, boxes or bags. And he puzzled and puzzled ‘till his puzzler was sore. Then the Grinch thought of something he hadn’t before. What if Christmas, he thought, doesn’t come from a store. What if Christmas, perhaps, means a little bit more….. The Ohio Christmas starts with this…..
there is nothing quite like charlie brown’s christmas… makes me nostalgic in a way not much else does. 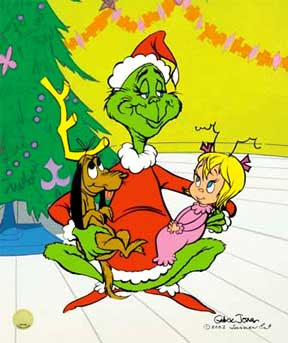 enjoy and see if you can remember watching this as a kid… go to hulu and reminisce for free!! love that this is flying through space on tumblr… these are some of my teachers!!! if you ever see RHPM in your hometown, DON’T SLEEP. Founded in 1992 by North Philadelphia native Rennie Harris, Rennie Harris Puremovement (RHPM) was conceived with the vision for sharing an appreciation for diversity and is dedicated to preserving and disseminating hip-hop culture through workshops, classes, lecture-demonstrations, dance residencies, mentoring programs and public performances.